Support 100 Mile Club Nationwide! We are excited to bring the spirit of our annual Southern California Run4Kids event to all of our schools and supporters nationwide. 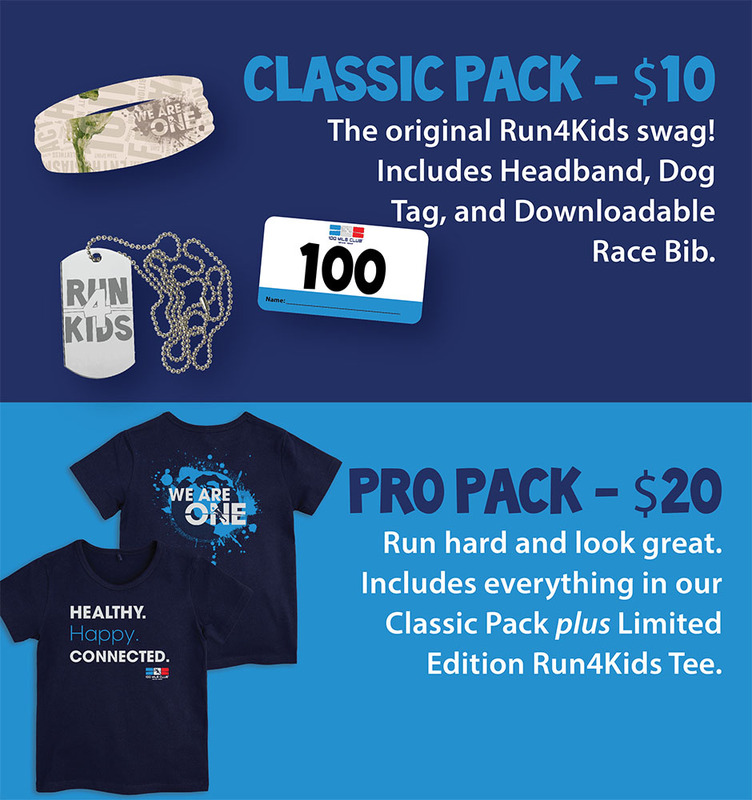 Register to receive our Classic Pack ($10) or Pro Pack ($20) so you can look stylish and run with us during the event no matter where you are! All proceeds will support the 100 Mile Club and our schools. Run or walk any distance the weekend of March 16th, 2019 to show your support for our mission to help kids become active, healthy, happy, and connected... one mile at a time. Share your photos on social using #100mileclub and we will celebrate YOU! In the Southern California Area? Join us for our annual Run4Kids event in Corona, California! With food, entertainment, and 6 hours of all-you-can-run fun, it's our biggest event of the year! NOTE: Though the Run4Kids 2019 Virtual Run may be counted toward a participant's 100 Mile Club goal,it is ultimately the decision of each individual coach/school to honor miles from this SPECIAL Virtual event. We recommend each individual participant be required to (1) show their Run4Kids 2019 Virtual Run race bib and (2) proof of completion via electronic tracking app such as MapMyRun or Strava for race credit. 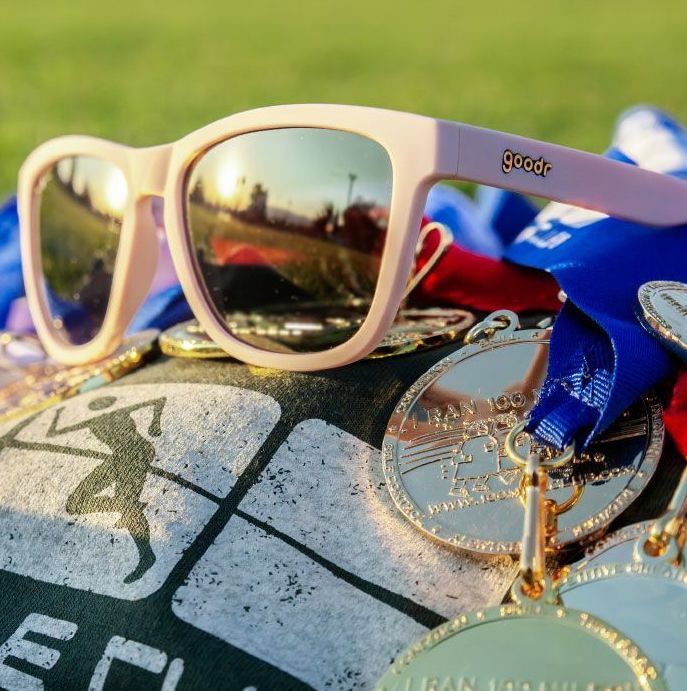 This Virtual Run is a special, national 100 Mile Club event, and 100 Mile Club does NOT recommend offering credit for other non-100 Mile Club virtual races throughout the year. You may want to ask your school's head coach to see if they will accept miles earned through this virtual race.